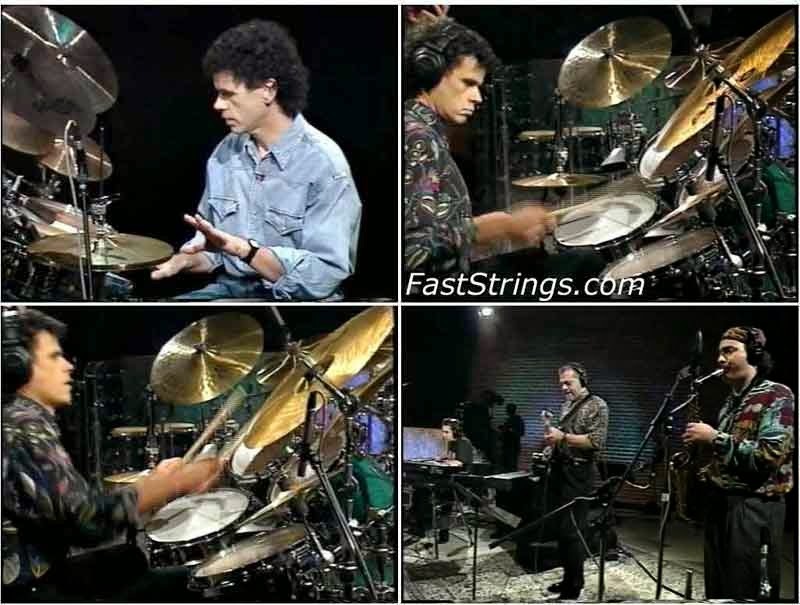 Clearly one of the greatest funk drummers of all time, David Garibaldi performs eight great tunes with a six-piece band and then breaks down his drum part in each tune section by section. Styles covered include Latin, funk, hip-hop, and jazz. He also demonstrates the drum grooves from seven classic Tower of Power tunes. David Garibaldi combines his innovations of funk from his Tower of Power days with his new innovations in Afro-Cuban music and demonstrates how to incorporate them into modern music. This DVD shows you how to become your own drummer and how to create your own signature sound. Please, does anyone have the pdf printable files that come with the DVD Tower of Groove????? I really need them. freaking awesome!! so much good stuff on this site. many thanks!!! :drummer: i need this so much and to study…thanks so much. Great page, awesome music. Best wishes from Venezuela!